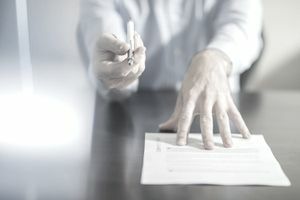 Job searches can and often are exhausting and frustrating, so there is a high probability that you may want to sign any decent looking offer letter that comes your way. While most companies don't try to hide anything in their offer letters, there are a few things you need to review, verify, and consider before signing on the bottom line. While it may seem obvious that checking to make sure that the salary spelled out in an offer letter is what you expect it to be, many times exact salaries are not discussed during the interview process. Companies often will offer a salary that they fully expect the candidate to negotiate. If you accept the first offer, you may be leaving money on the table. Thinking that you will be able to negotiate a higher salary once you've accepted the position is not a good strategy. Doing so may end up giving you a negative reputation within your new company. If a salary was discussed during your interviews and the offer letter salary is less than what you expected, reach out to the hiring manager and bring it to his attention. It could very well be a mistake, or it could be that the company is trying to get you for less. Either way, you'll clear up any confusion, and you'll find out whether the error will be corrected or if you need to start negotiating. Make sure that your sales compensation program is spelled out in the offer letter. Many companies will not give out a copy of their compensation plan until someone is an employee. This is done to prevent their competitors from knowing their compensation plan. If the compensation plan is not detailed, call the hiring manager and ask for additional details. Arriving for work on your first day only to be surprised with a limiting and challenging compensation plan is not a great way to start a new career. Health Care benefits are often an essential part of a job. Unless you are an independent sales representative, your new position will include at least some benefits. These should be spelled out either in the offer letter or an attachment to the offer letter. You should read over the benefits package very carefully and understand that benefits are usually a "non-negotiable" part of the offer. Either you like and accept the benefits, or you don't. Make sure that if benefits are included in the position that the "wait time" is clearly spelled out. Many companies make or are obligated to make new hires wait 30, 60 or 90 days before they are eligible for benefits. If a wait is required, you'll need to consider using COBRA or going without benefits for the duration of the wait time. This is probably an obvious item to check, but checking the employment start date is very important. For example, if you are in a tough financial situation and the offer letter states that your start date is 45 out or longer, you may need to either ask to have the start date moved up or keep on looking. If your start date is out further than you'd like, you have a decision to make. You could accept the position and tighten your belt until the start date, or, you could accept and resume your job search. This is a tough choice since it is never a good idea to accept an offer then turn it down soon after. Professional networks are very powerful, and word can get around quickly. However, a company that offers you a position with a delayed start date must expect that some candidates will accept but will never start. In the end, you need to take care of yourself and your family first. If you get some negative backlash from networking sites or groups, view it as an opportunity to improve your networking skills and show the world that you are a valuable employee. How Do I Respond When I Get a Job Offer Letter?